Our brand new development, Hawtin Meadows, is located just off the A4049 in the village of Pontllanfraith with easy access to the A472. With groundworks having now commenced and the first few releases hoped to be announced at the end of this year alongside the introduction of a temporary sales centre, this development is ideal for househunters looking to have a new home by Spring 2018. 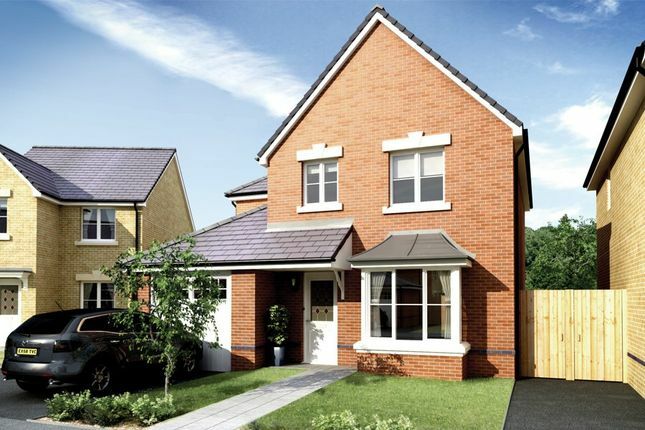 The development will offer 263 homes, which include a choice of 14 of Llanmoor’s most popular two, three and four-bedroom home designs, many of which feature open plan living spaces to cater for the needs of a modern family lifestyle. Show homes at Hawtin Meadows will be two of the most sought-after house types; The Ferndale and The Chelsea. 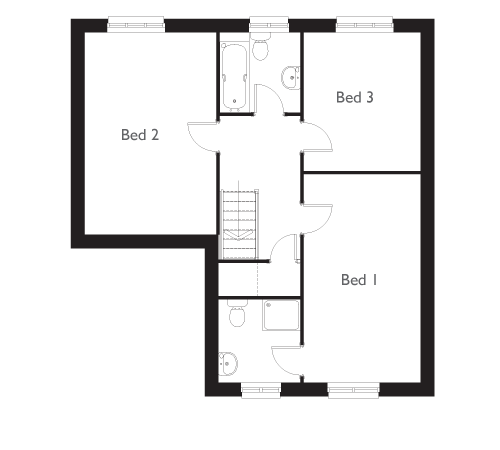 The Ferndale house type boast spacious bedrooms and communal kitchen/dining area. 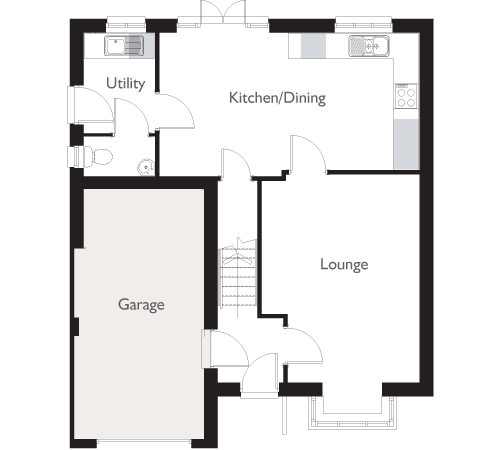 Equally as popular, the two-bedroom Chelsea home offers the perfect solution for those looking for a slightly smaller property but of the same impressive quality and style. Help to buy Wales - Move up or move in with as little as a 5% deposit. Help to Buy Wales is a government-backed scheme that helps you move into a new Llanmoor home with as little as 5% deposit. Help to Buy - Wales allows eligible purchasers to buy new-build homes with assistance from the Welsh Government in the form of a shared equity loan of up to 20% of the value of the new home up to a maximum value of £300,000.00. At present the scheme will end in April 2021. The 'Help to Buy Wales Equity Loan' and 'Help to Buy Wales Mortgage Guarantee' are available to everyone, whether you're a first time buyer or an existing homeowner who's looking to move up the property ladder. Property descriptions and related information displayed on this page, with the exclusion of Running Costs data, are marketing materials provided by Llanmoor Development Co - Hawtin Meadows, and do not constitute property particulars. Please contact Llanmoor Development Co - Hawtin Meadows for full details and further information. The Running Costs data displayed on this page are provided by SmartNewHomes to give an indication of potential running costs based on various data sources. SmartNewHomes does not warrant or accept any responsibility for the accuracy or completeness of the property descriptions, related information or Running Costs data provided here.